Home / Animals / How Animals Kiss and Make Up? How Animals Kiss and Make Up? 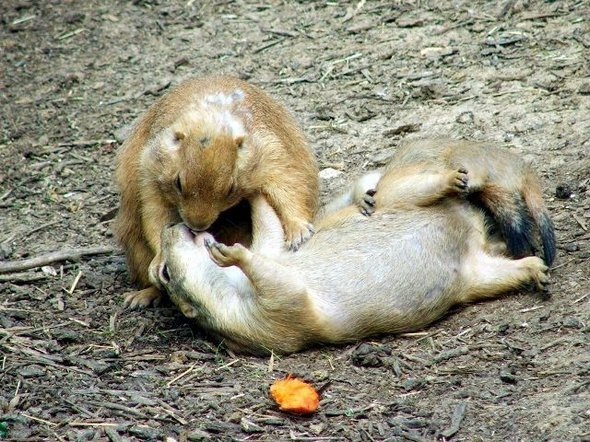 Animals know the importance of kissing and making up after a fight, an audience will be told at a Scottish university. Professor Frans de Waal will discuss the importance of reconciliation in repairing social relationships in the animal world. He said research among primates and non-primates had suggested that such behavior was “widespread”. The eminent scholar will deliver the Irvine Lecture at St Andrews University on Monday. Professor de Waal said: “Reconciliation – defined as a friendly reunion between two individuals following conflict – has been confirmed in many different primate species, in both captivity and the field, both experimentally and observationally. “Chimpanzees, for instance, kiss and embrace after fights. “Reconciliation has also been demonstrated in non-primates, suggesting that the phenomenon is widespread indeed.” He said there was good evidence that it led to the repairing of social relationships.